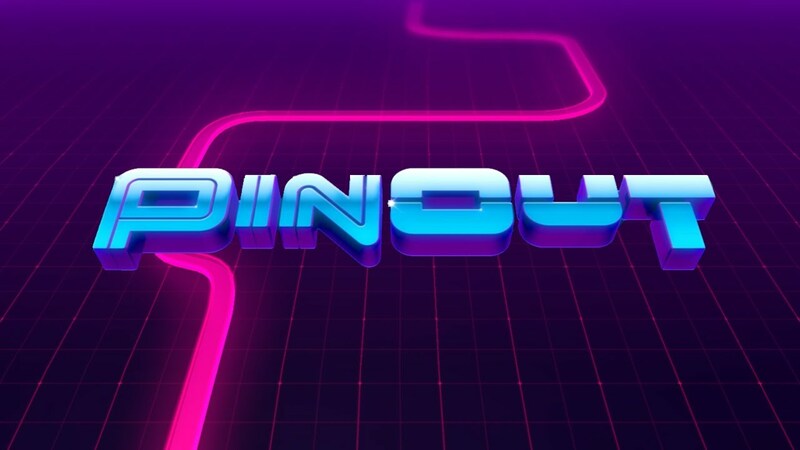 Some games stand out because they take a simple concept and turn it into something cool, and a good example of this is PinOut. The game is published by Mediocre, but don’t let the company’s name fool you as this is a good one. It’s like a pinball game, but with a twist. Your goal is to advance through a seemingly never ending pinball game. As you navigate the futuristic looking course, you will be accompanied by a synthesizer soundtrack reminiscent of what you would have heard in an 80s arcade. For the visuals alone PinOut stands out. Aside from the obstacles you also have to keep an eye out for the timer. As long as there’s time remaining you can keep racing up the board, grab power ups and in certain situations, gain extra seconds to keep playing. The soundtrack and graphics are good, and the views help you navigate the obstacles. The controls are easy to pick up as well: there are two flippers on the screen and you tap the left or right to set the steel ball in motion. A quick tap of the flipper launches the ball, but if you want to be more accurate, hold the flipper down for a second or two before releasing. PinOut does an excellent job of bringing the pinball game to mobile. Is it challenging? Yes, but so is every pinball game, and that is one of the reasons why PinOut is so addictive. Throw in the visuals and the soundtrack and you’ve got the complete package.